We offer you four different options to enjoy the Arenal Hanging Bridges. 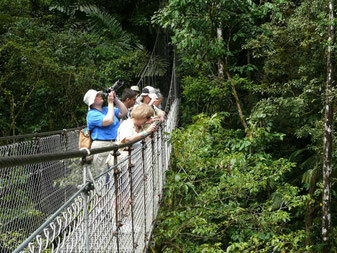 • Bird watching. Early in the morning. • Bird watching. At sunset. 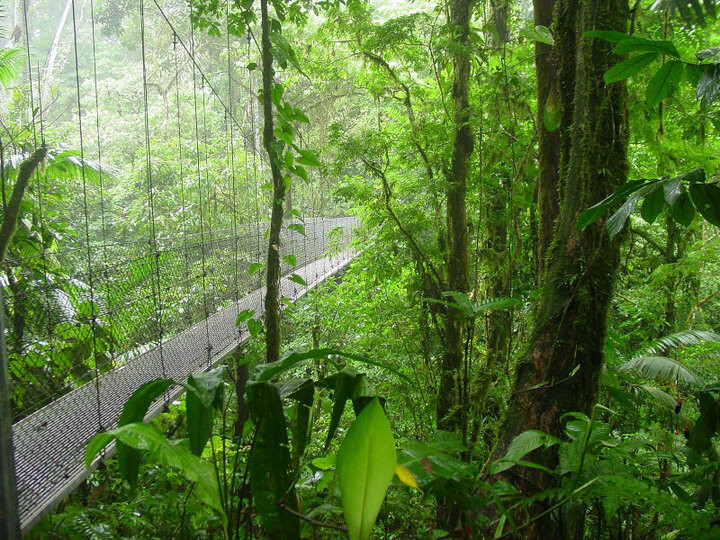 Located within the corridor followed by birds migrating between North and South America, the trails and bridges of this project will bring you as close as you could ever hope to get to the birds, the flowers and the lush vegetation of the primary rain forest. 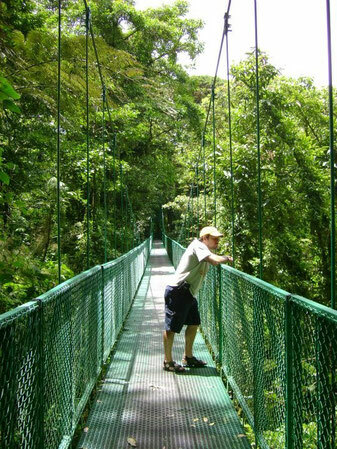 You will be able to walk right into the forest, thanks to the imposing hanging bridges and the beautiful trails that are safe and easy to walk on. 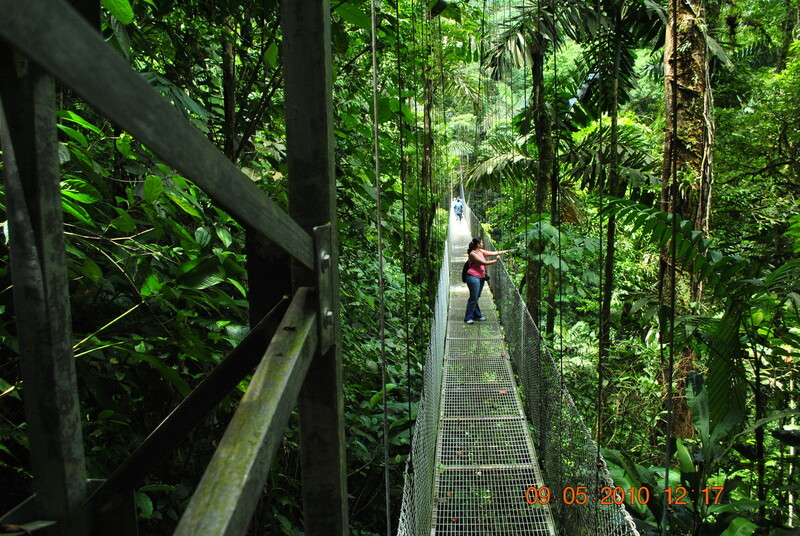 The trails, covering a distance of about 3.1 kilometers, are right inside the forest. 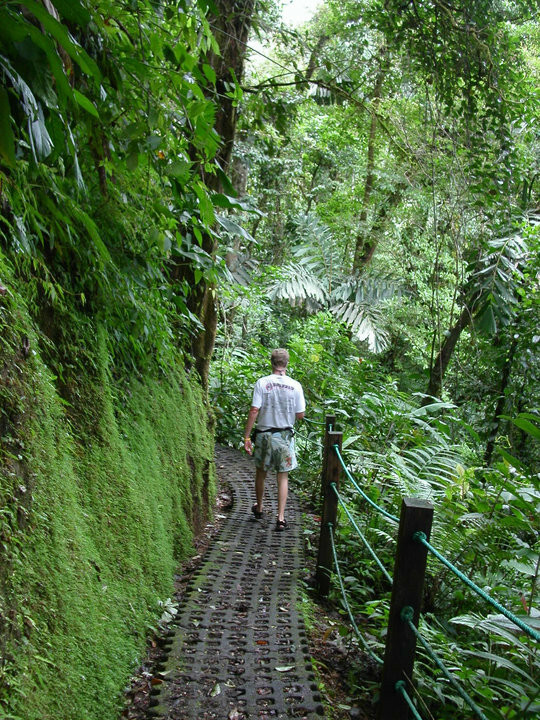 As you walk, you be able to appreciate the great diversity of flowers and wildlife that are typical of the rain forest. 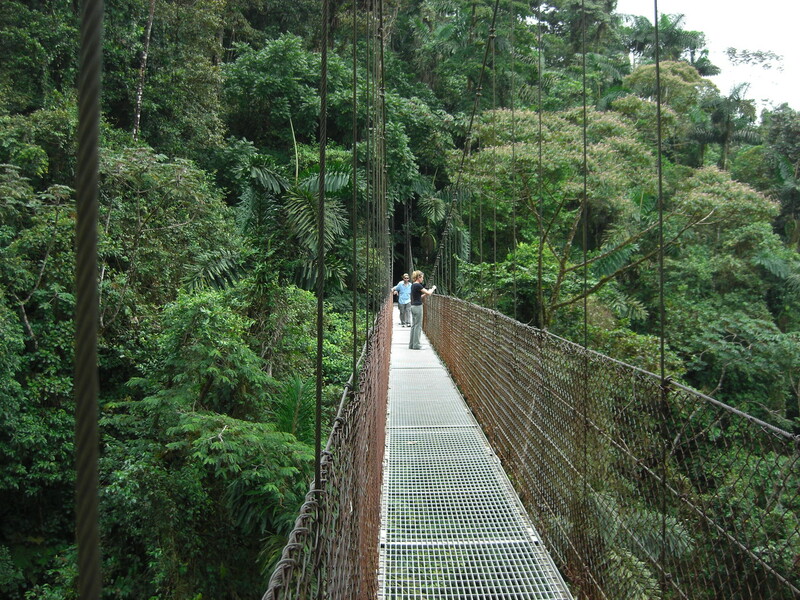 Given the roughness of the terrain, the trails are joined by the eight fixed bridges and six hanging bridges. 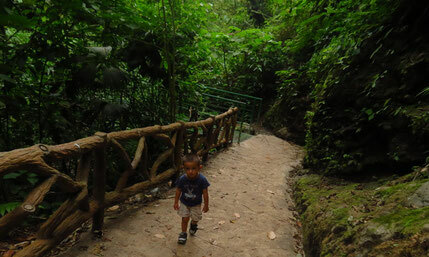 The trails have been laid out with a maximum grade of 7 degrees, so that anyone can walk on them. 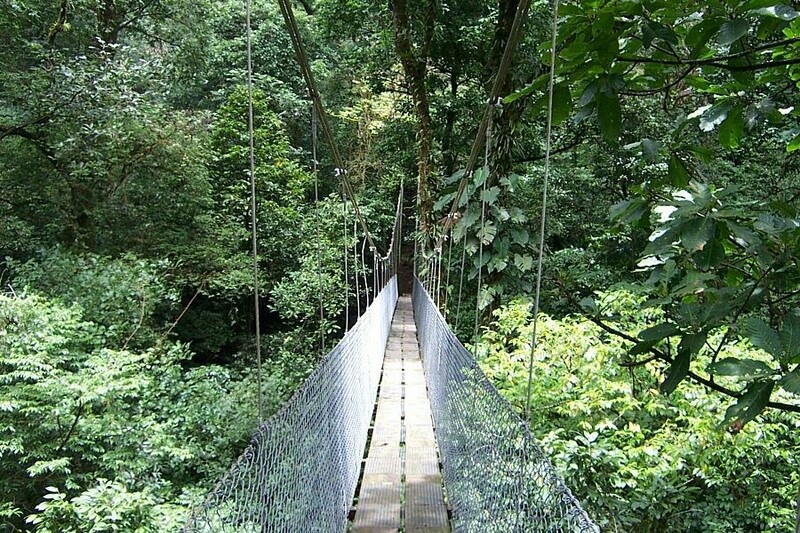 The Hanging Bridges project consists of eight (8) fixed bridges, ranging in length between 8 and 22 meters, and six (6) hanging bridges, built with the latest techniques and designed with an eye for both beauty and safety. 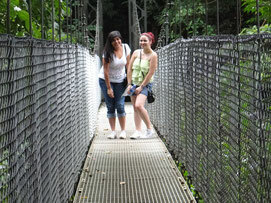 The hanging bridges are between 48 and 98 meters long. 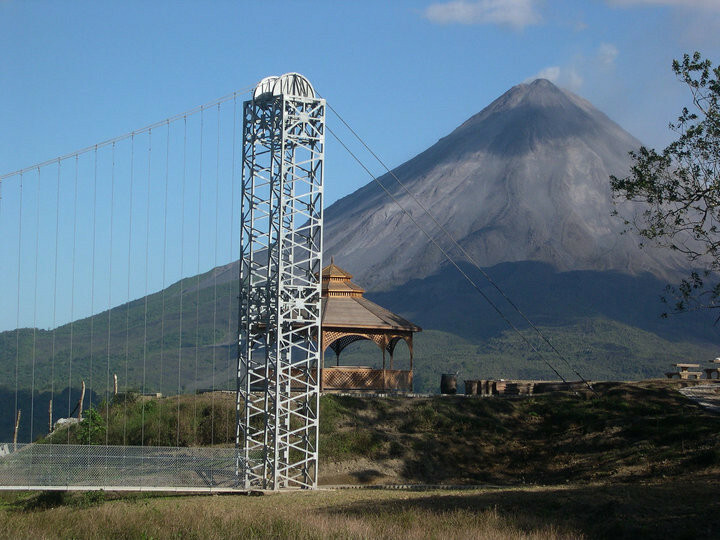 All the bridges are made of galvanized steel and high-strength aluminum. 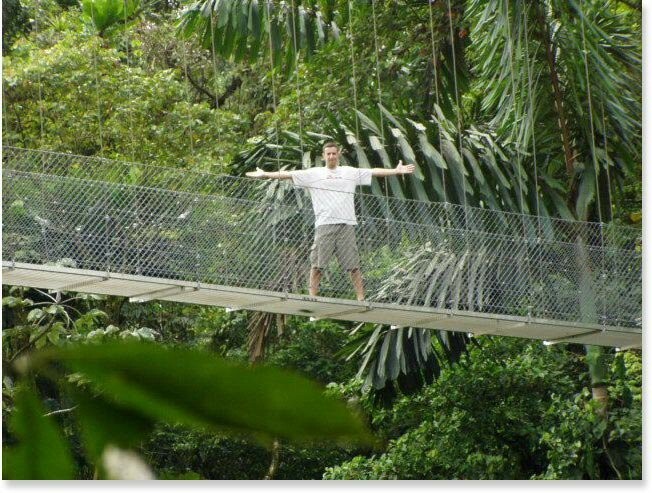 The safety mesh and the suspension cables are all galvanized steel. The entire project was designed to blend with the natural environment, leaving the forest virtually intact. 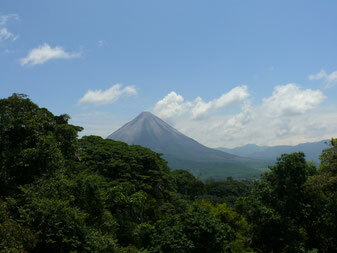 Bilingual naturalis guide, transport from and back to your hotel at Arenal Volcano area, entrance fee to the reserve, drinks. 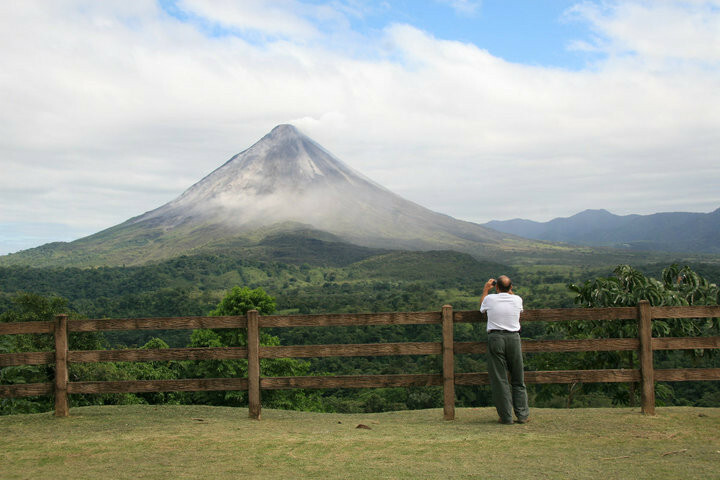 What to bring: Comfortable clothes, hat, hiking shoes, insect repellent, camera, binoculars, sunscreen lotion, rain gear during the rainy season.